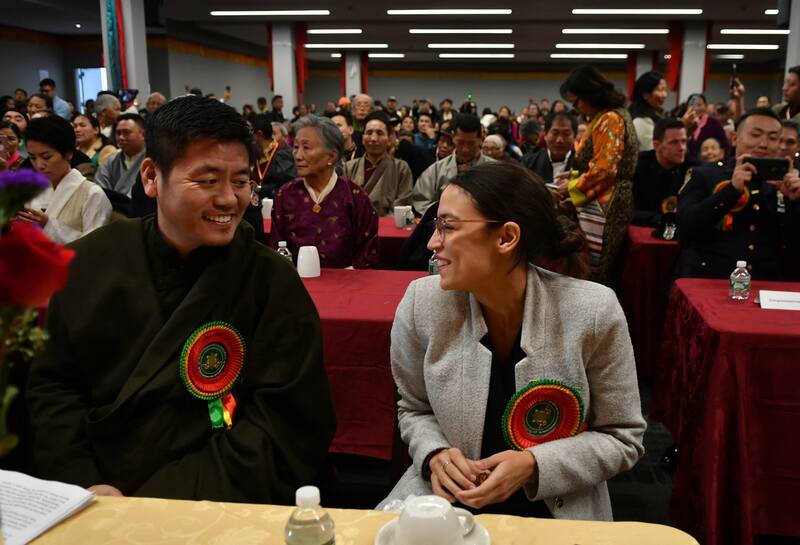 Feb 9, 2019: Watch here Congresswoman Alexandria Ocasio-Cortez and Dorjee Tseten, Member of Tibetan Parliament-in-Exile and SFT’s Executive Director, speak at the NYC Tibetan Community Losar (Tibetan New Year) gathering, organized by Tibetan Community New York and New Jersey. I wish you all a very happy Tibetan New Year, the year 2146. Yes! According to the Tibetan astrological calendar, it is not 2019 any more, we are in the year 2146. Whether you believe it or not, Tibetans are always several years ahead of the rest of the world. It is my great honor to speak here today. I would like to invite everyone to join me in welcoming our chief guest, Congresswoman Alexandria Ocasio-Cortez. Congresswoman Occasio is, in my opinion, the most inspiring leader and changemaker in America today! So we’re honored to have you here. I also want to acknowledge the presence of many friends who have been with the Tibetan cause for a long time. 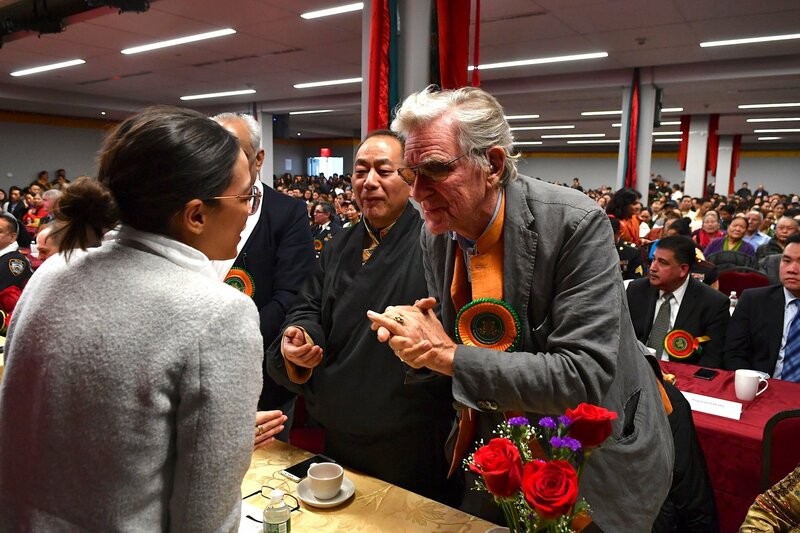 One of the great champions of human rights and close friends of the Tibetan people, Prof Robert Thurman and Nena Thurman are here with us. 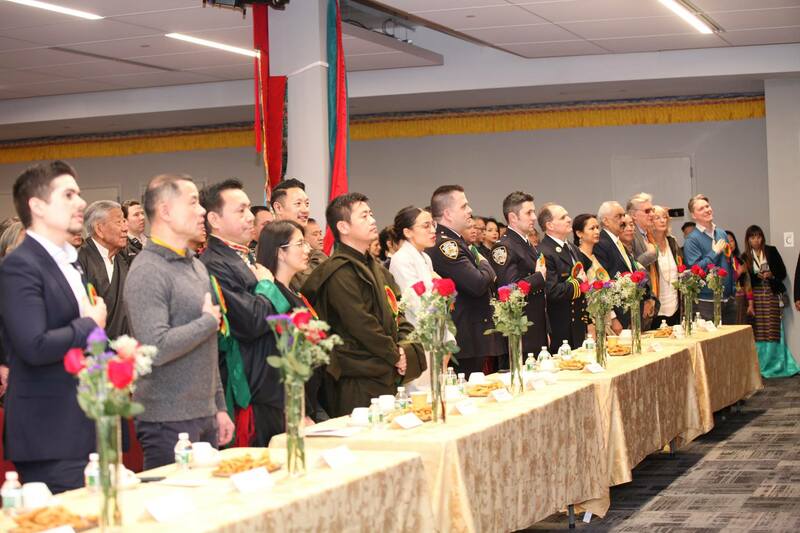 We also have many others who worked extremely hard for decades to advance the Tibetan cause in America. I would like to extend my new year greetings, most importantly to the Tibetan people inside Tibet. The spirit of unity among the Tibetans in Tibet is very strong. 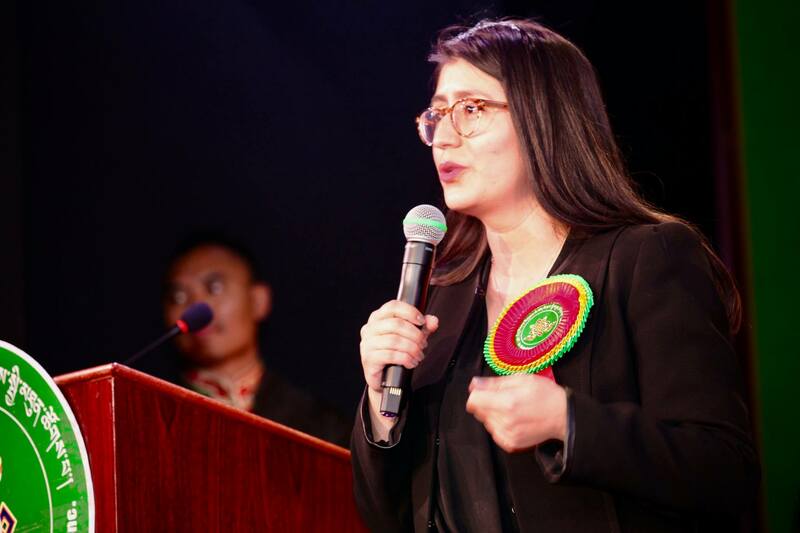 The hardship and adversities we faced gave rise to something positive, a strong sense of unity among Tibetans across three provinces of Tibet, with an unwavering courage and determination. The just cause of Tibet will never be wiped out. Truth is something that in time gains momentum and comes into light. People may use arms to suppress the truth, but the impact of violence does not last long. In our struggle for the just cause of Tibet, instead of taking up arms, we wield the power of truth to fight for our cause. 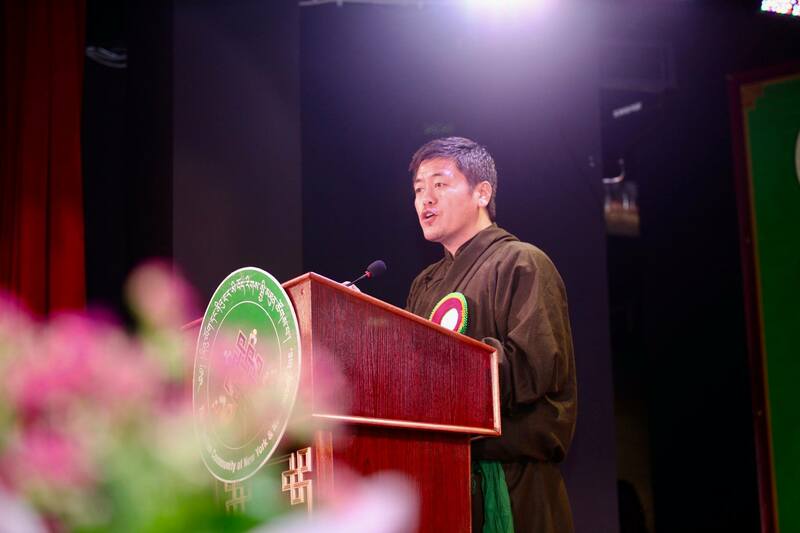 In this short message, His Holiness talks about the Tibetan spirit of resistance. 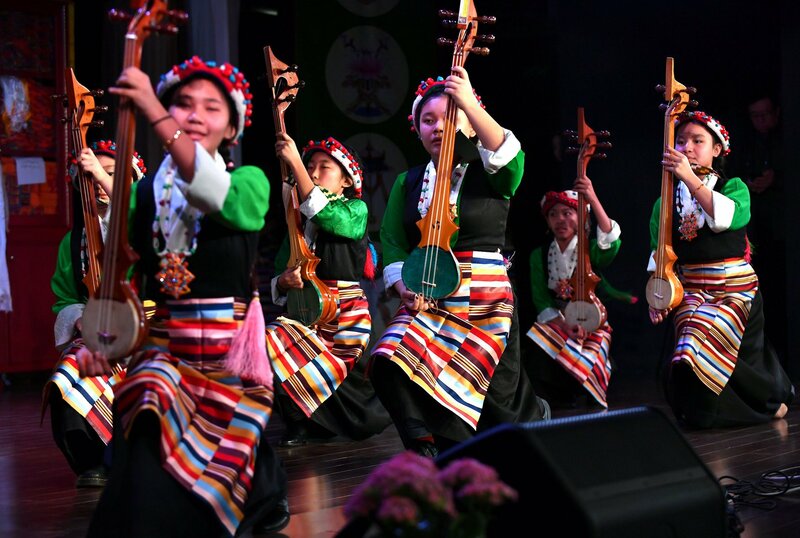 It is this spirit of resistance that Tibetans showed when they rose up against China’s invasion in 1959, against Chinese occupation in 1987, and then again in 2008. 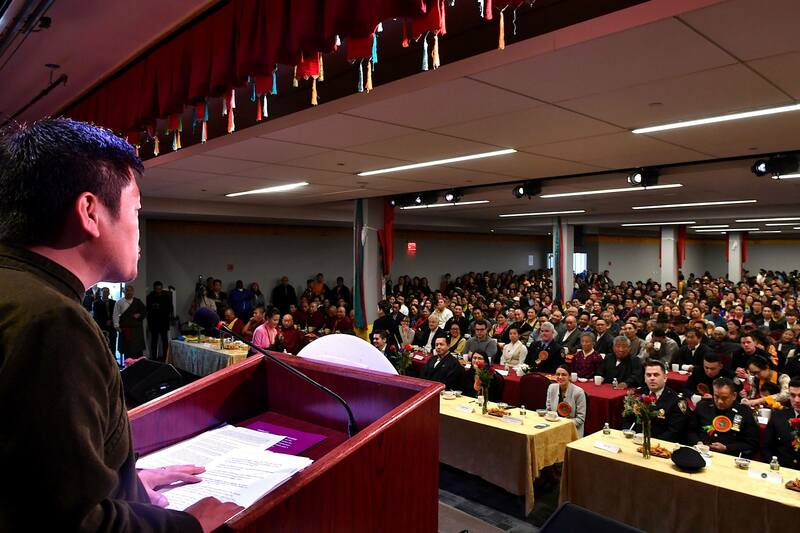 His Holiness talks about this spirit of resistance that is exemplified by thousands of Tibetan political prisoners, who spent decades in prison for simply participating in peaceful demonstrations. Many of those political prisoners and other Tibetans persecuted by the Chinese government are here in America today. In this free country, we have been able to celebrate our culture, like today. In this free country, we have been able to practice our religion, learn our language, and exercise our freedom of speech. 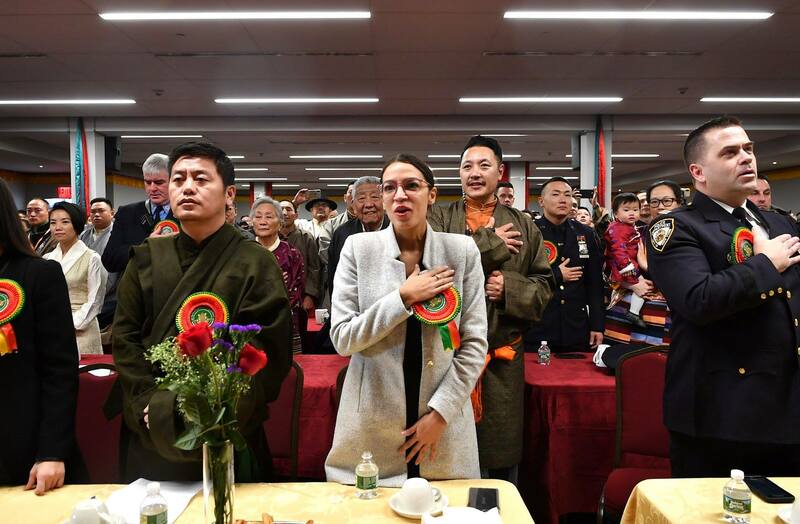 Most importantly, in America, we Tibetans have been able to practice our culture of resistance, a culture that America itself is famous for, and a culture that Tibetans are famous for. America was born as a result of resistance in the year 1776. Likewise, a similar spirit of resistance runs in every Tibetan today, no matter where they live. 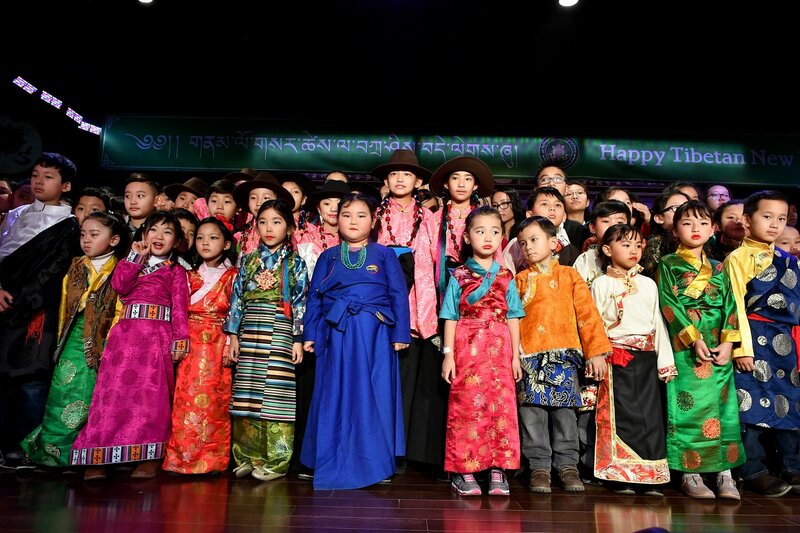 This culture that you see today, this religion that we worship, the Tibetan language that we try to teach our children, the songs that we sing – these things have been suppressed in Tibet for over half a century. Images of the Dalai Lama are banned even today. Those who demand freedom and human rights are routinely jailed and tortured. However, no matter how bad things get, we have one thing on our side. That is our culture of resistance. Resistance for the sake of freedom, human rights and democracy. This culture of resistance is a culture that we are proud of. But it also comes at a price. Some of the people who are in this room today, right here among us, were political prisoners in Tibet. They spent years, even decades, in prison simply because they desire freedom. Today many of them are fortunate to be American citizens. But even with an American passport, they are not able to go home to see their family. They have parents back home in Tibet who are old and in poor health, but they can’t travel to Tibet to visit them. Because the Chinese government systematically denies visas to Tibetan Americans to travel to Tibet. 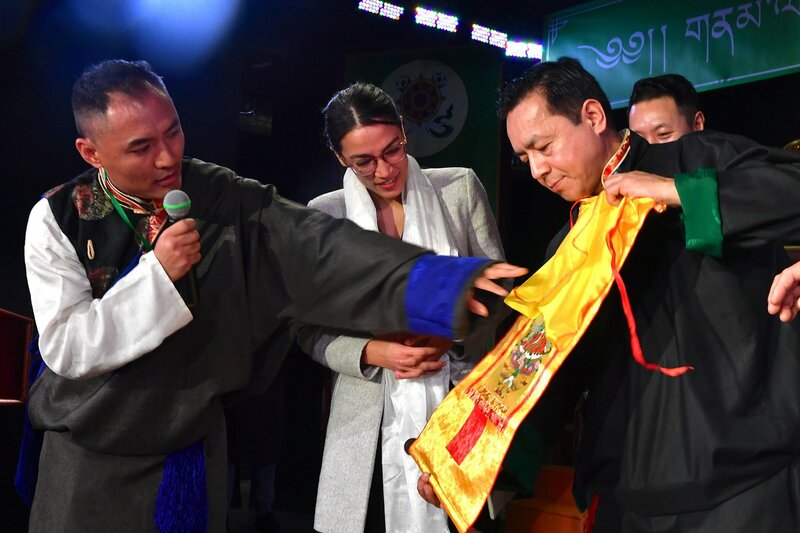 That’s why I applaud a new legislation by the US Congress, called the Reciprocal Access to Tibet Act which became law of the land last December. 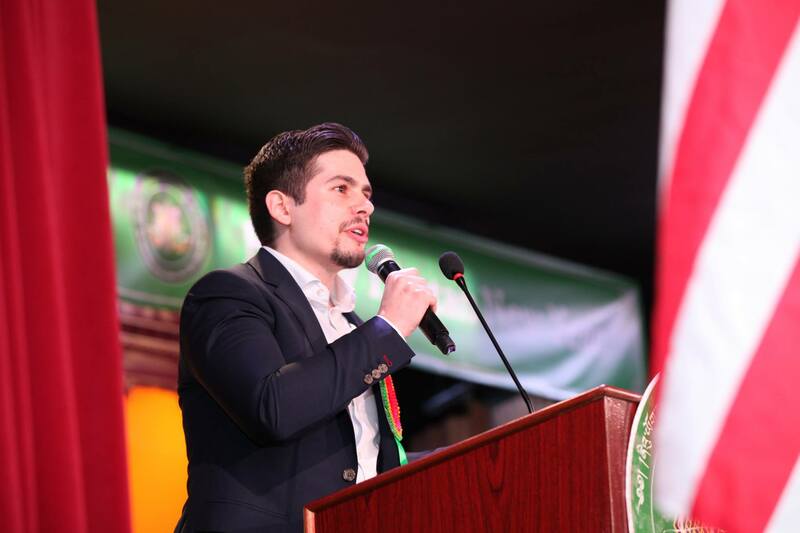 This law is aimed at demanding reciprocity from the Chinese government. It seeks to unlock Tibet, which is currently under lockdown. 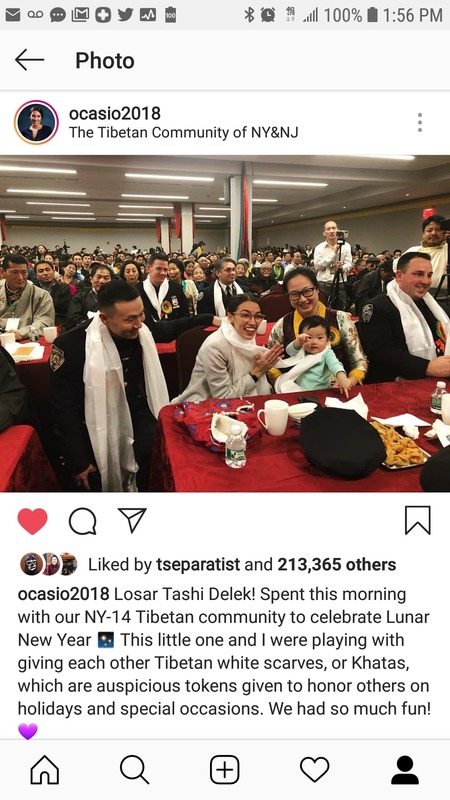 American citizens, especially Tibetan Americans, should be able to travel to Tibet – because we allow Chinese citizens to travel to any part of America. 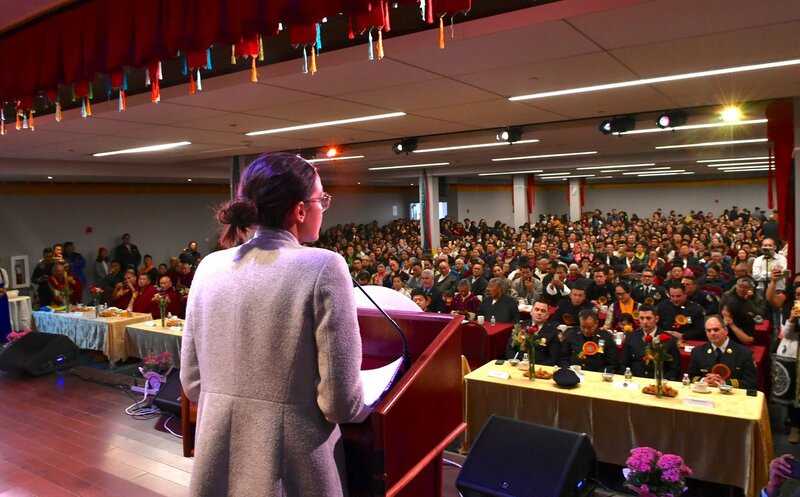 I hope that this legislation will help to open up access to Tibet, and eventually allow Tibetan Americans as well as American journalists to be able to travel freely to Tibet. I want to thank the American Government and people for standing with His Holiness and the people of Tibet. The passing of this groundbreaking legislation is a victory for all who care about freedom and human rights. Finally, I would like to express my admiration for the courage,and leadership shown by Congresswoman Alexandria Occasio-Cortez. Your uncompromising vision of a better America, a more compassionate society, a more free world, is a true inspiration to us. We are not only a community of immigrants, we are also a community of refugees, which means, we are a community of resistance. Six million Tibetans have stood up against tyranny for the last six decades. When all the governments of the world bow down to Beijing’s pressure, when the corporations and multinational companies sell out to CCP’s bargain, we Tibetans have always stood up and fought for freedom. We have never sold out our values and principles for the sake of temporary profits. 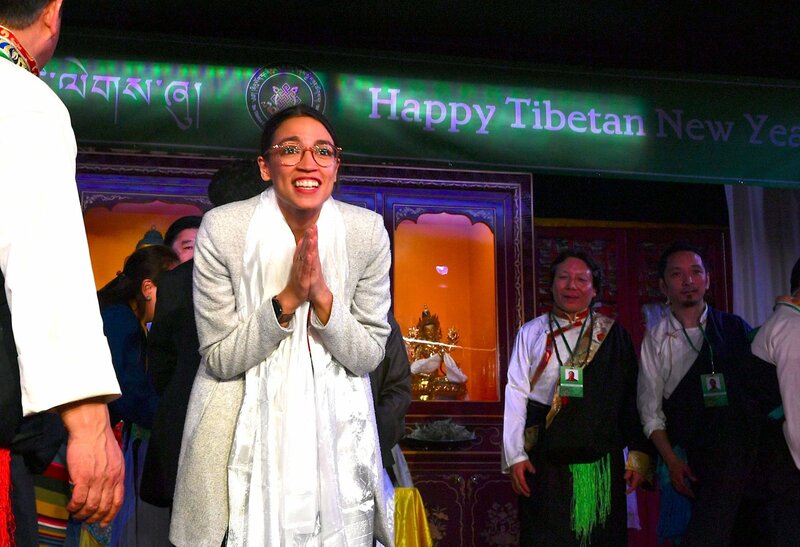 On behalf of my Tibetan friends in New York, I’d like to say to our chief guest Congresswoman Occasio and all our political representatives: we see you as a spokespersons for freedom, and champions of human rights and social justice. You can count on us as your allies in the fight for equality and justice at home, and freedom and dignity in the world. We will remain your community of resistance. Welcome to our community. Thank you. Happy Losar.